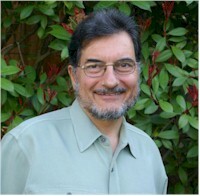 Haim Weinberg Ph.D, is a clinical psychologist licensed in both California (PSY23243) and Israel, group analyst and Certified Group Psychotherapist (USA), in California, USA. He is the past President of the Israeli Association of Group Psychotherapy and of the Northern California Group Psychotherapy Society (NCGPS). He is the Academic Vice President of the Professional School of Psychology, and created and directs a unique doctorate program in group therapy and marital and family therapy facilitated by distance learning. He taught at the group facilitators training program in Tel-Aviv University, Israel, at the Wright Institute in Berkeley and the Alliant International University. He is a Fellow of the International Association of Group Psychotherapy (IAGP), and of The American Group Psychotherapy Association (AGPA) and a member of the Group Analytic Society (GAS). Haim is the list-owner of the group psychotherapy professional online discussion forum. His professional interests lie in the areas of group processes and group therapy, multicultural issues, conflict resolution, trauma groups, Internet & Large Groups and the Social Unconscious.